No wonder I (and others) was getting confused before! I was wondering why that DN had an LJ09- plate when they were all meant to be recieving SN09- plates. Yeah thats true, though I've seen worse like E911/2 DRD of Whippet who just bolted over the gap where the rear door was. The cost of doing a conversion stopped Metrobus from converting there Omnidekkas amongst other reasons. 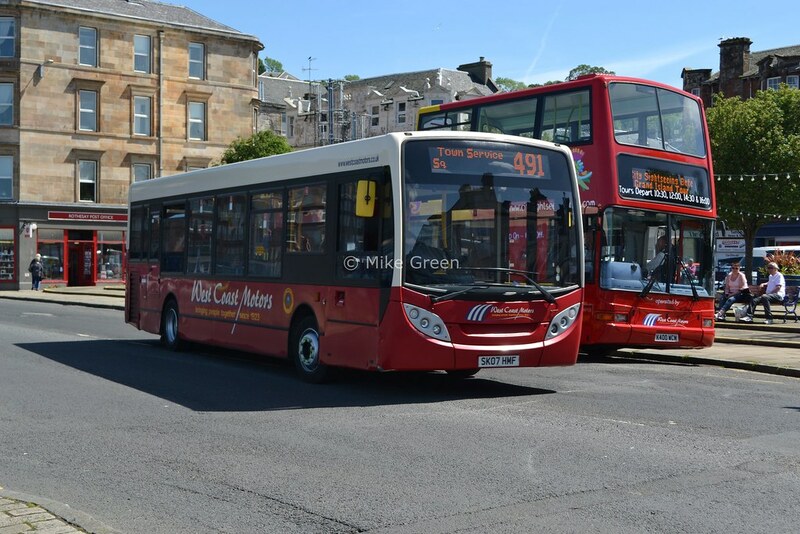 But seeing as the Enviro400 seems to be Metroline's standard double-deck type now, I wouldn't be surprised to see 80-odd of these making their way to W in the autumn. Then again Metroline could surprise us with something different. In all honesty I don't know what they'll end up getting, so we'll have to wait and see. Just out of interest, why did Metroline purchase SEL's for routes 7 and 205, whereas they purchased TE's for route 24 (and possibly others) beforehand? I don't even remember the exact reason why (perhaps someone on here knows why), but I think it was simply Metroline wanting to try out an alternative bus type. Open to correction though. In the event the SELs were dogged with problems before they had entered service (tilt test etc, as I'm sure you're all aware of ) and many of them entered service very late. In the end Metroline went back to E400s. TEs had been purchased for the 24 and 204 before the decision was made to buy the SELs. jamaal i have been trying to tell you since the other day that the LJ09CEF belongs to travel london because the first Enviros are supposed to have SN09 plates, now if you guys look at my previous posts you will see that I have pointed this out several times but no one was paying any attention. Regards to metroline I hazard a guess they will be enviros as apart from the scanias that is their preffered DD type. IIRC at that present time everyone was ordering E400s, so Metroline had to purchase Scanias for the time being. Lol don't worry Arriva I was paying attention I'd known First's Enviros were to recieve SN09 plates and that Travel London's lot were LJ09. I recall wondering why DN33575 had been fitted with one of Travel London's reg plates in the first place. OmniCity DDs being delivered fast - I'm not too sure about that. Remember those with Selkent have only just been delivered yet were due ages ago. As has been mentioned before we don't know what Metroline will be getting until they announce it themselves. I'd merely said I wouldn't be surprised if more Enviros came, not "I think they'll get Enviros". Also as Arriva has said, that reg plate LJ09 CEF does belong to Travel London - in fact after checking I can confirm it belongs to 9462. They could I suppose, but I'd still like to know what makes you think new E400s (of any length) are unlikely? As I've already said no-one knows what they'll get at the moment. To correct you jamaal Enviros carry more passengers than the olympus. The enviros have 67 seats + 25 standing total of 92 while the olympus seats 68 + 21 standing total of 89.